Lilly wants to hang out with the popular girls, so when queen bee Tania invites Lilly to her birthday party, she can't wait. What she doesn't realize is that Tania is hoping to go through Lilly to get to her cute older brother, Hank. When Tania's plan fails, she blames Lilly, mak... read full description below. Lilly wants to hang out with the popular girls, so when queen bee Tania invites Lilly to her birthday party, she can't wait. What she doesn't realize is that Tania is hoping to go through Lilly to get to her cute older brother, Hank. When Tania's plan fails, she blames Lilly, making her life a nightmare. 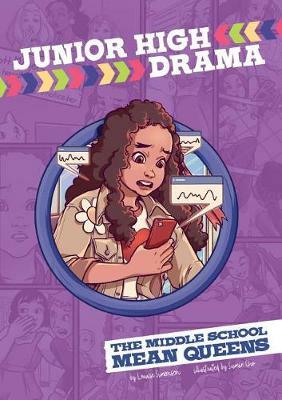 Will Lilly survive the mean queens of middle school? Strong themes of character education and a diverse cast of characters make this Junior High Drama story an excellent choice for libraries.